Everything about this mash-up feels rushed, the heroes themselves are pale shadows of themselves(except Iron fist, he's equally bad in this as he is in his own series), the villains are 2-dimensional uncomplicated stereotypes, writing/cinematography and production value in general seems to have been compromised because of time restraint. Instead of cherry picking the best parts of all shows the creators of this debacle read the description on the back cover of the DVDs and conceived a poor 80s-esque action flick that they stretched out for 8 episodes. When you give a great recipe to a sub-par chef on a time-limit the yield is not gonna be fantastic. Give the reins over to someone with a deeper understanding of your already set-up framework. For the love of god just turn this bad streak around, no more Iron-fist casting or Defenders writing. In the first few episodes, the production uses colored light to great effect to separate out each individual Defender story. Each scene involving Daredevil has a hint of red. Jessica Jones is lit with purple. 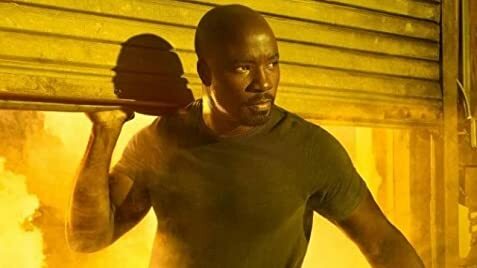 Iron Fist with green and Luke Cage is lit in shades of yellow. As the series progresses and the Defenders become aligned, the four colors eventually turn into more neutral whites and blues. The opening credits are a sequence of cityscapes of New York, with colored silhouettes of the Defenders (Daredevil in red, Jessica Jones in blue/purple, Luke Cage in yellow/orange and Iron Fist in green), following themes from previous shows.